Japan ist ein Land in Asien (Ost-Asien) mit etwa 128 Millionen Einwohnern und einer Landfläche von 377.835 km². Es liegen aus 5 verschiedenen Quellen Hinweise zu diesem Land vor. Dieses Land teilt keine Land-Grenzen mit anderen Ländern. Exercise normal precautions in Japan. Read the Safety and Security section on the country information page. Japan: Reise- und Sicherheitshinweise: Teilreisewarnung. The German government advises againt travelling this country. 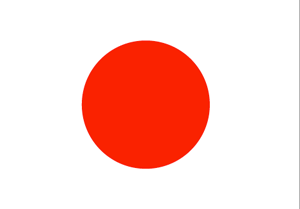 The Ministry for Foreign Affairs and Trade Promotion advises all Maltese citizens travelling to Japan to exercise a high degree of caution, following the strong earthquake that hit Kumamoto region on Thursday, 3rd January. The quake, which struck at 6.10pm local time, was centred in Kumamoto prefecture on the southern island of Kyushu. Maltese nationals who are present and/or travelling in the area are advised to monitor local news reports and follow the advice of local authorities and emergency services, including any evacuation orders.